Milwaukee Brothers and Sisters... so incredibly sorry for your loss. We will never forget Officer Rittner’s sacrifice! La Porte County, Indiana Police Dept. Thank you for your sacrifice. You will never be forgotten. Rest in peace Officer Rittner. Your sacrifice is mourned and your service to your country and city was greatly appreciated and will be missed. with their loved ones and colleagues. and enable our society to be loving, just and at peace. We ask this in the name of Our Lord and Savior Jesus Christ. Rest easy, Brother. 10-42 Final. God be with you and your family. Never Forgotten! We are so saddened by this terrible news!! 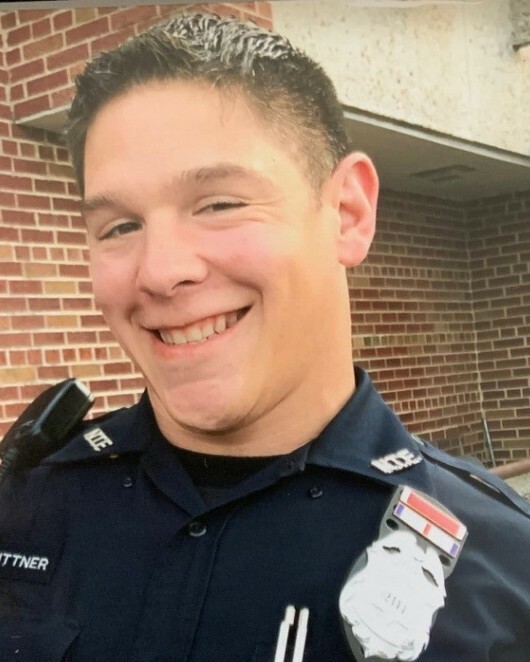 Rest In Peace Officer Matthew Rittner ❤️. We are so thankful to you for your service. Our thoughts and Prayers go out to your family, and all of your sisters and brothers in Blue that protect us. God bless you all!! Rest In Peace Officer. Thank you for protecting my home town and for your selfless dedication to others. We have the watch. You will be remembered. A beautiful young man. The best of America. Rest in the Lord's arms, son. Never forgotten. Prayers to family and friends. Mrs Rittner, words cannot express the deep gratitude we feel for your sacrifice. Every day I hope I live my life in a way that is deservant of you and your husbands sacrifice. EXTREME GRATITUDE ALSO TO HIS BROTHERS AND SISTERS IN BLUE. YOU ARE ALL IN MY PRAYERS. Rest in peace brother. Thank you for your service. God's speed sir. Semper Fi Marine. You won’t be forgotten. Thank you brother for your service in our beloved Corps and God bless your family. Thin Blue Libe has lost a great American.